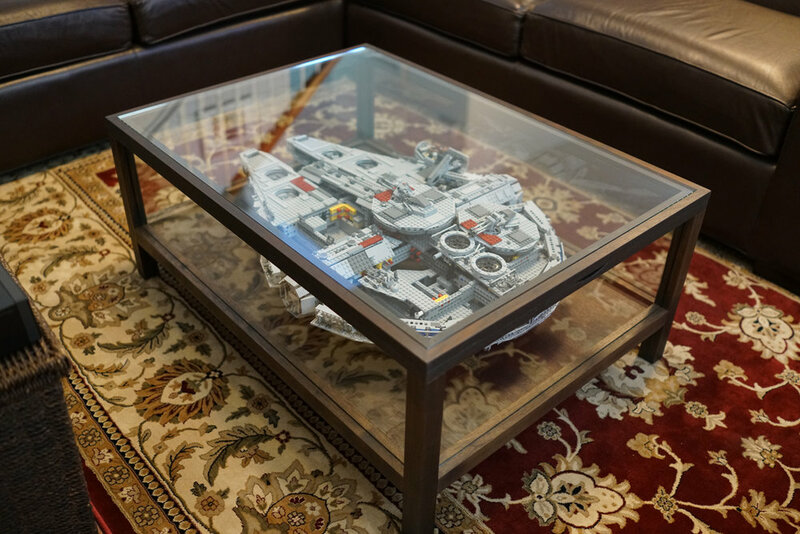 A software engineer with a Lego habit needed a permanent home for his Millennium Falcon model, and we were happy to oblige. 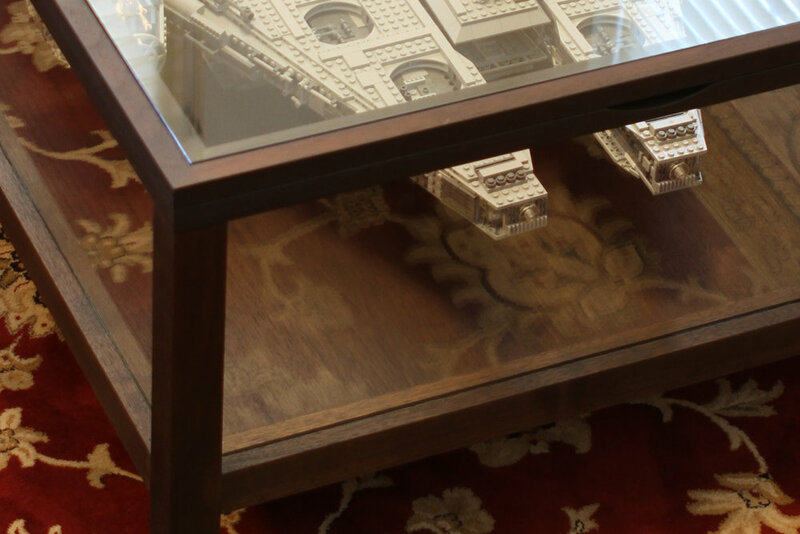 This display case doubles as a coffee table. A removable top of 3/8" thick tempered glass provides easy access to Han's ship. Solid wood with internal mortise and tenon joinery. $1,800 (we have only made these for local clients thus far, shipping would be extra).